At the exceptional, ingredient-driven restaurant Decca in Louisville, Kentucky, chef Annie Pettry makes one of the best pork chops in the country. The delicately smoky, wood-grilled chop—one of her best-selling items—is perfectly tender, flavorful and juicy, served atop a mustard jus that's been thickened into a creamy sauce. 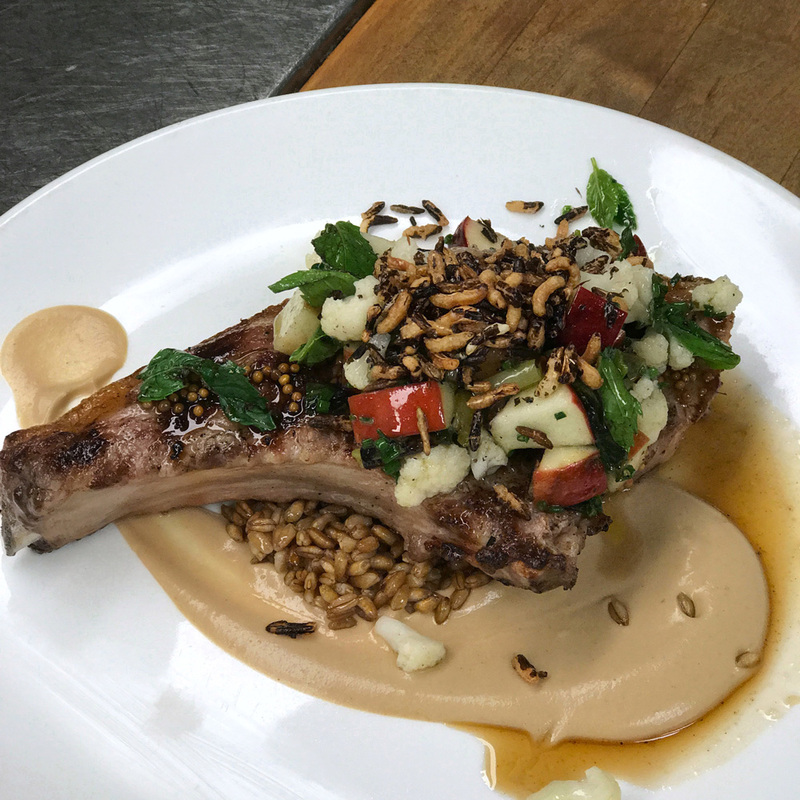 The pork chop, a local heritage breed that Decca receives with the rib and belly intact, is topped with wood-charred apples, herbs and crunchy cauliflower florets, bringing a sweetness and crunch to the richness of the meat. Here, Pettry kindly offers her tips for making pork chops at home that are just as transcendent as hers. 1. So many people overcook their pork chops. Don't be one of those people. "I think people have a tendency to overcook pork chops. Some people are squeamish about pink in their meat or think that pork has to be cooked all the way through. This saddens me, as a heritage pork chop with a pink juicy center is divine!" "This assures a juicy and well-seasoned pork chop. At Decca, we brine our pork chops in a solution of 1 cup kosher salt and ½ cup sugar (per gallon of water) with aromatics for four hours before grilling them." 3. Treat your pork chop like a good steak. "After brining, treat your pork chop like a good steak. Grill over high heat to sear and develop a nice crust, then move the chops to medium-low heat with the bone-side of the chop facing the flame or hotter side of the grill to finish cooking. Remove the chop from the grill when a thermometer in the thickest part of the chop reads 135 degrees. Let the chop rest seven to ten minutes before cutting." 4. Be mindful of the pork you're buying. "Naturally-raised pork without hormones or antibiotics is best. If you can find heritage breed pigs, that's even better. Look for thick-cut pork chops that are pink and well-marbled. I prefer center-cut ,bone-in rib chops, as they have the perfect ratio of meat to fat and retain their moisture well when grilled." 5. Have fun with sauces. "Pork is such a versatile meat that you could pair just about anything with it. 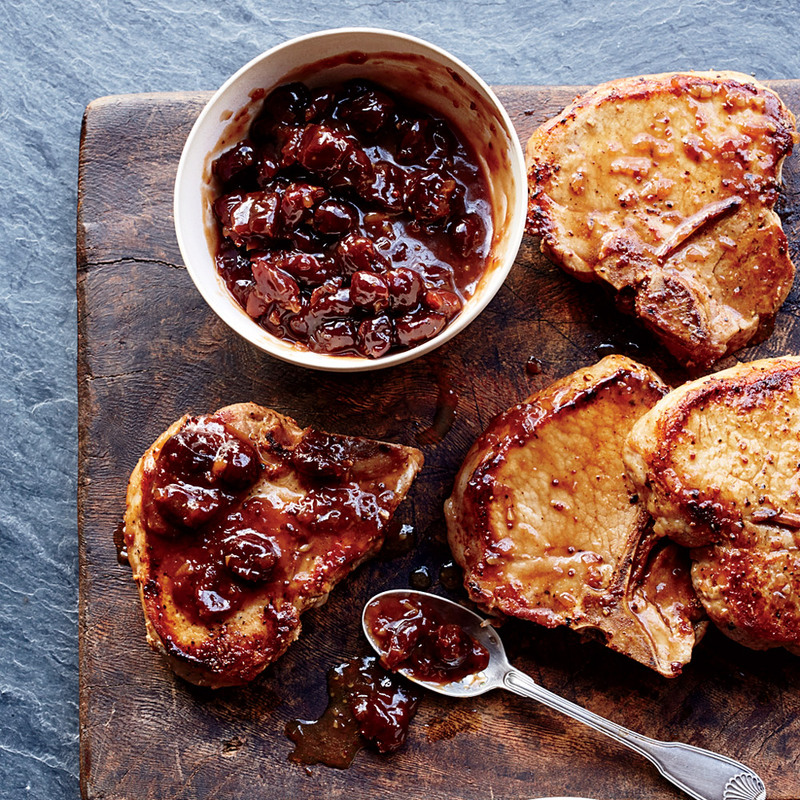 For chops, a simple pork jus really brings out the pork flavor and adds a luxurious mouthfeel. Add a splash of apple cider and apple cider vinegar for an apple jus or a touch of Dijon for a mustard jus. Root vegetables like parsnips, carrots and rutabaga pair beautifully with pork chops and bring out the sweetness in the meat. I particularly like pairing pork with fruits, apples, cherries, peaches and apricots."